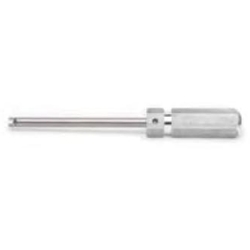 Shur-Lock Valve Core Tool for Large Bore Cores Haltec TL-134 / BOWES HT TL-134. A special design allows the valve core to stay attached to the tool after it is removed from the valve. A great tool to keep the valve core from getting dropped or lost.